DEFBooty protects delicate DEF from grit and grime from the DEF tank cap. 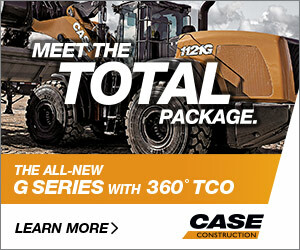 Construction equipment that is in daily contact with mud, dirt and dust can end up with contaminated DEF, which in turn can lead to costly repairs. All it takes is one teaspoon of dirt in the tote to contaminate all of the DEF in the vehicle. For this reason, vehicle manufacturers of off-road equipment suggest wiping the DEF cap before filling the tank, as the refilling process is the most common time to introduce contaminates to the tank. DEFBooty has been introduced to help ensure that these areas are clean and the DEF tank cap is not contaminated when you refill the tank. DEFBooty sits over the top of the DEF cap, secured in place by an elastic band at the base of the DEF cap. It remains in place while the vehicle is in use, protecting the cap and the area around it from dust and grime. When the operator needs to add more DEF, the dirty DEFBooty is removed, revealing a clean DEF tank cap. After refilling, the DEF cap is covered with a new, clean DEFBooty. DEFBooty can also be sued to clean the DEF nozzle before inserting it into the clean DEF tank. The underside of a used DEFBooty, which should remain clean, can be used to wipe off the nozzle before inserting it into the DEF tank. 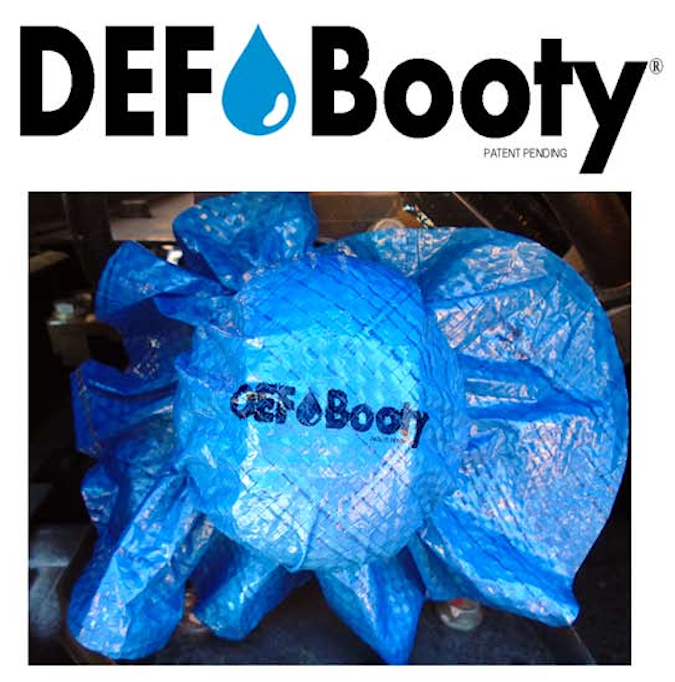 DEFBooty provides an economical solution to protect the equipment and the DEF fluid. 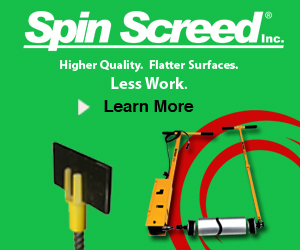 It helps prevent contamination due to mistakes or ongoing exposure to dirty work environments. DEFBooty resembles a tarp or plastic baggie, but it operates much more effectively. Bret Gross, inventor of the DEFBooty, warns operators that plastic bags can fall apart and become embedded in the radiator fins or caught in a fan boot. “The DEFBooty is made of durable polyethylene that doesn’t tear easily,” he says. This can help prevent a hefty repair bill, and all for just a few dollars. The DEFBooty is designed out of recyclable polyethylene and is designed to be disposable. It should be placed on the DEF tank cap between DEF fill-ups, and a new DEFBooty should be used every time filling is finished to ensure a clean, protected DEF tank. Visit www.defbooty.com to learn more.